As a family-owned and operated business, we know how important it is to find the perfect windows and doors to create a welcoming first impression for your home or commercial property. With more than 160 years of combined experience, our friendly staff will help you find everything you need to complete your vision. Even if you aren't sure what your design goals are just yet, we'll guide you through the different window and door options available and assist you every step of the way! 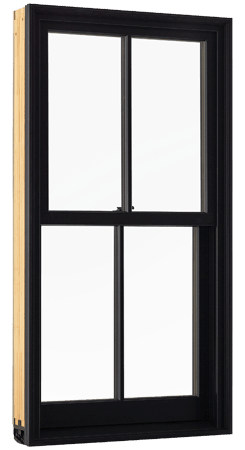 We believe that you deserve more than a run-of-the-mill style for windows and doors. We also want to provide you with the best materials possible, so we make every single door and window to order. Let us know which design you'd like and when you need it, and we'll have it ready for you. Need design advice? Just ask us-we'll tell you which designs we think will work best for your overall architectural style and budget. If you have a question or to request more information, feel free to call us at (314) 647-5000, or visit out showroom. Are you renovating your current property or planning on constructing a building for the first time? provide you with the materials you need to finish your build and make your property look fantastic. aren't sure what your overall design goals are yet! We have more than 100 years of combined experience providing windows and doors to residents all across St.
small details your home, office, or other property requires.